In my blogging and sewing journey, people have been so generous and kind. I have received unused fabric from friends, family, and strangers. Every time I receive these kinds of unique gifts, I feel so blessed! 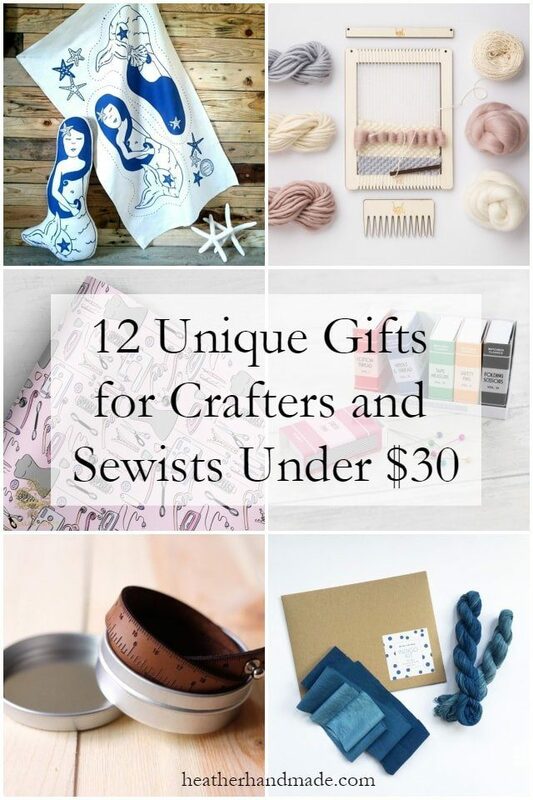 As someone who sews, here are some great gifts for crafters and sewists all for under $30! I am a crafter and a sewist, and one my favorite gifts to receive is a craft kit. I love to try something new without investing in all the supplies. 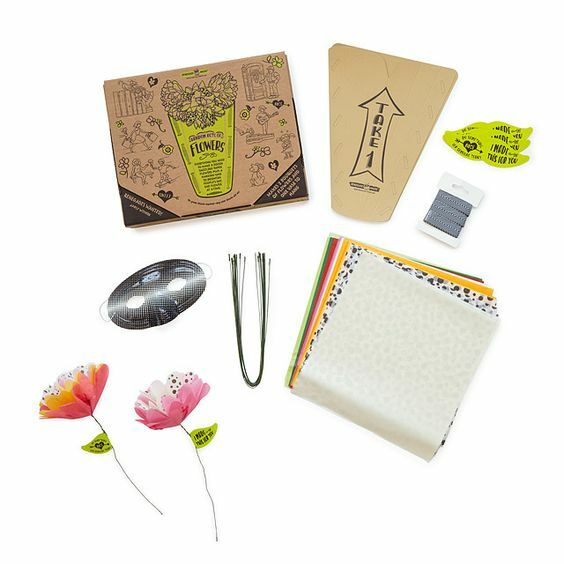 Even though there are tons of options, I’ve narrowed it down to ten unique crafty items, and I’m sure you can find a unique gift for your crafty SIL or your sewing friend. Enjoy! Indigo dyed fabric is super trendy right now. It’s a beautiful and organic looking fabric. I love all the different patterns you can create. 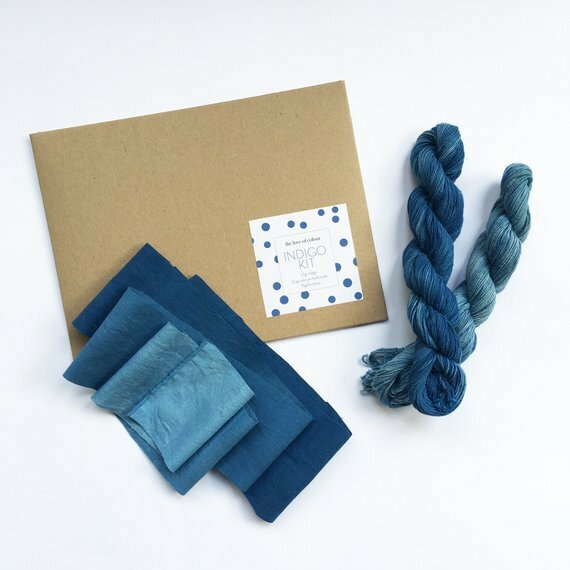 With this kit you can dye your own fabric and experiment with some beautiful indigo dye. I would love to try to indigo dye fabric! Besides making fun gifts, I love wrapping those handmade gifts. I often have my children color or paint paper to wrap a gift. I love the extra handmade touch. 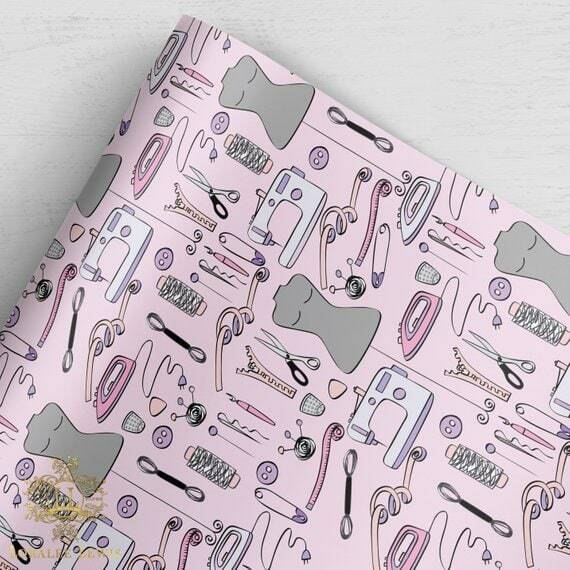 But how fun is this sewing inspired wrapping paper!? Wouldn’t you love to receive a handmade gift in sewing wrapping paper? It would add such a nice touch to something you make with your own hands. I love having handmade items and the creative process is the joy of the project. I have focused in on one hobby, and I don’t feel like I could invest in a bunch of crochet tools. 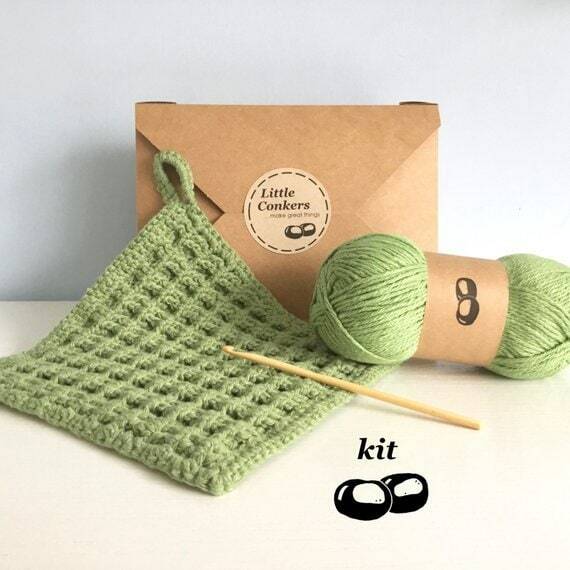 I love this kit because you can make your own dishcloth. I love to use crocheted dishcloths, and I would love the no pressure of making just one! I think the hardest part for me to get started on a project is the preparation. Especially when it’s something I don’t often work on. That’s why these embroidery kits are so fun; you get to try a new craft without fully committing to purchasing all the stuff. 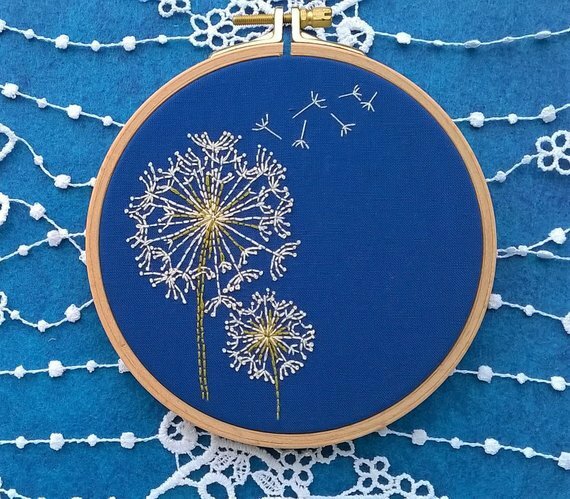 The dandelions are pretty and simple, and this is a kit perfect for beginners! I’ve felted wool with my hands before and it is just so satisfying. There’s something really amazing about washing wool with your hands and seeing it take shape as felt. 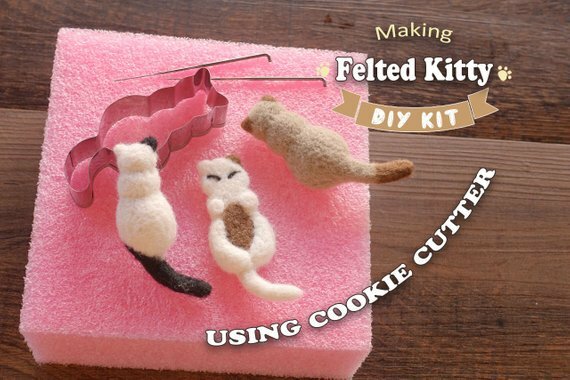 And if you could create something adorable as these felt kitties it would be really satisfying to do needle felting. Once you learn the process you can needle felt any cookie cutter shape that you have! Lace is so pretty and classic. 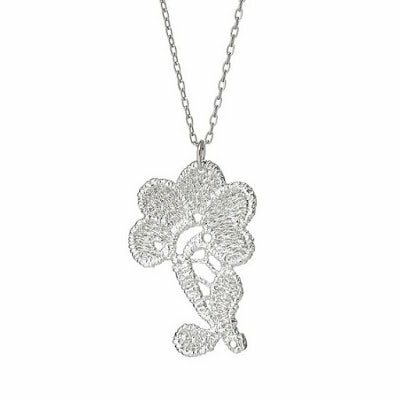 These necklaces are created by dipping the lace in various layers meaning there is real lace inside that is preserved forever! 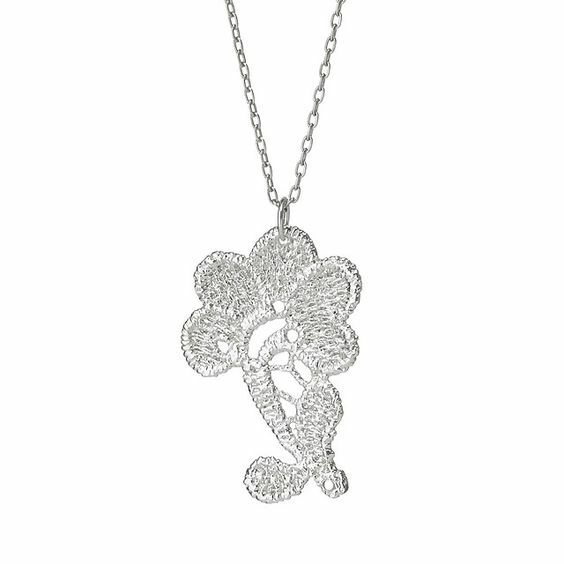 I would love to wear this silver lace necklace and be reminded of all the pretty lace I’ve worked with. 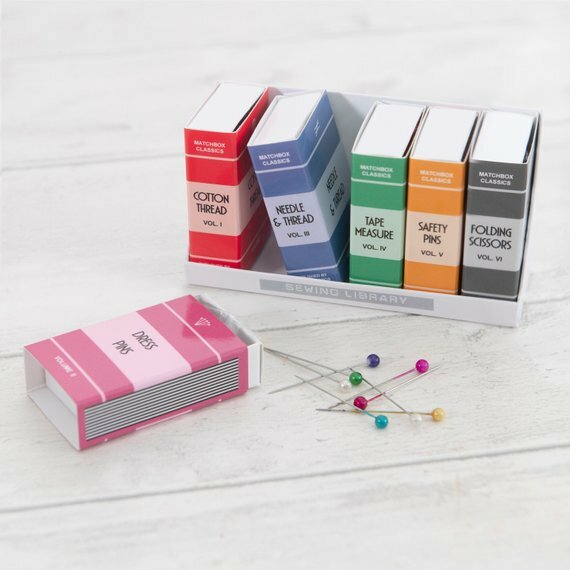 I love to sew and this sewing library organizer is adorable. I love that they look like books but they hold lots of different sewing notions. It would look so cute on a shelf above a sewing machine! 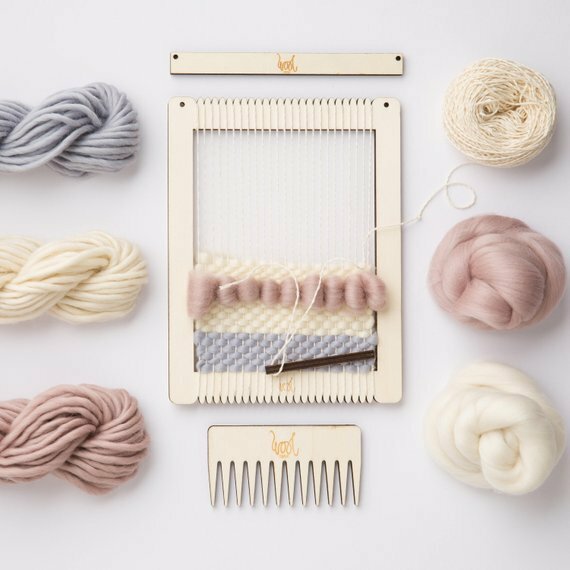 Weaving is so trendy right now, but it’s a simple skill to learn. With this weaving loom you can make a custom woven design to hang on a wall. It would be a great gift for the tentative crafter! As I said before, the hardest thing about crafting is the preparation. Do you know a child or teen that wants to get started sewing, but doesn’t know where to start? They can start with this adorable mermaid stuffie that is so easy to make. 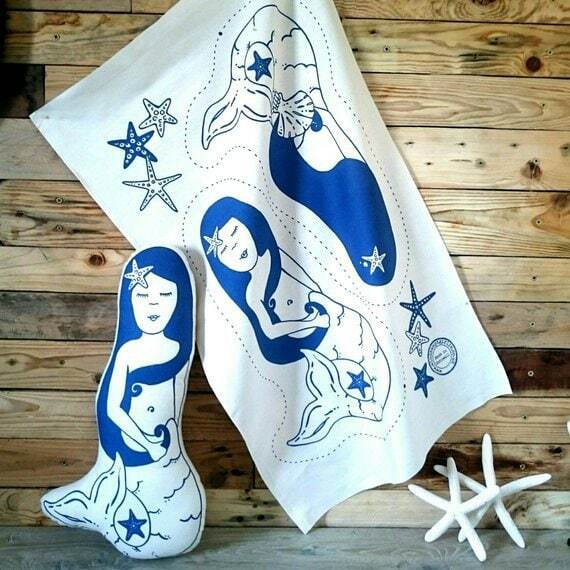 With just the fabric and some poly-fil you can make your one stuffed mermaid in a day! 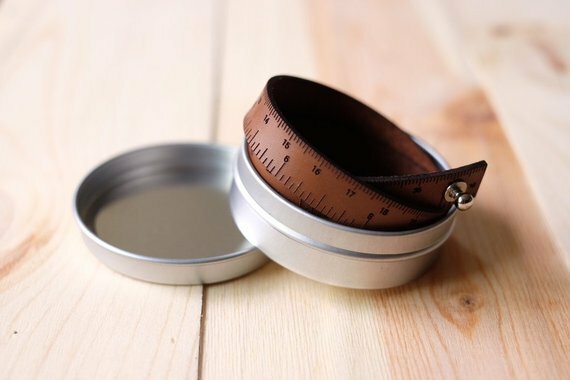 These gorgeous leather bracelets are perfect for anyone who is doing a lot of measuring in your craft. It also comes in the perfect round tin for storage! This is a great bag for the crafter, sewer, quilter, sewist, or seamstress. 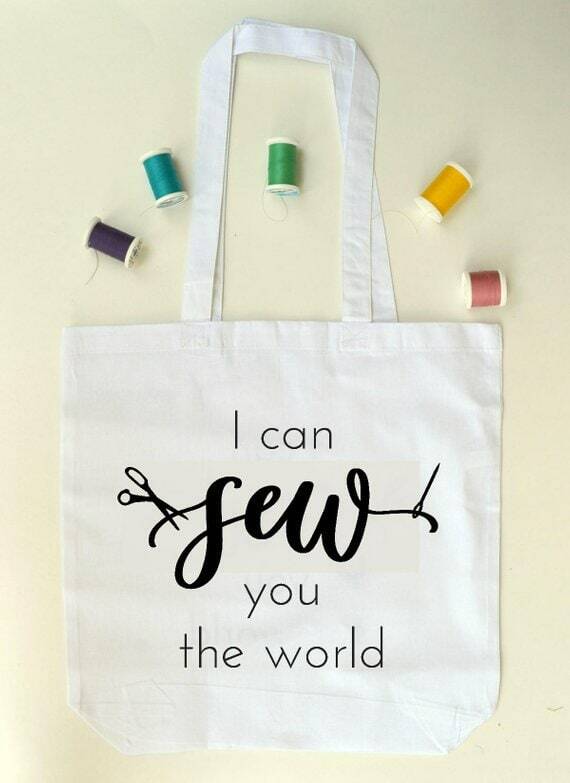 I love carrying all my sewing supplies in it whenever I have a sewing night with friends. It’s the perfect size for a sewing book, sewing pattern, and some basic sewing supplies. Lots of people enjoying crafting, but sometimes the finished items can take over your house. Why not create paper flowers to share that will brighten someone’s day? This whole kit is created for you to make beautiful paper flowers with words that will make someone feel special. It even comes with a mask to keep your identity hidden while gifting the flowers. What’s your favorite item on this list? Would you want to try any of these or give on as a gift?